The very important thing about (SEO) is linking to another site or your website is being linked up. Links is very important because it can determine how search engines treat those links whether a site uses (No-follow) tagging within its links. Website or blog, using below (HTML) code for links. Above HTML tag and URL the link will be shown on the web page for that link, and the closing HTML tag. So You are able to add more (HTML) codes above in order to tell the (Search Engine Spiders) whether or not you want them to follow the link when "SE" crawling your website. What is No-follow and Do-follow? If the link does not have the (real) tag, then it is automatically set to be a Do-follow. When a link is placed anywhere on the internet (Website, blog, Social Media, forum, YouTube, or other websites) it will pass some of the link ranking of the page/site where the link is located to the website. Anywhere would pass this link (ranking or popularity) for every link Do-follow and No-follow tags. Also, many spammers trying to post links everywhere on the internet or websites, and anywhere they could comment to get a higher page ranking. And Search Engines don, t know which links are genuine and which ones should be fake. 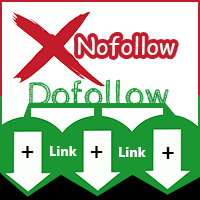 No-follow links are stop spammers gaining value from links that were just spam and introduced to solve the problem of Do-follow links mentioned above. Should not have been adding value to the websites they were pointing to, the No-follow tag was born. The No-follow tag is used to tell (Search Engines) not to pass any link value to the website it is pointing to. So spammers will not add any value whatsoever to the ranking of the website. The only benefit is that having your link on those pages could possible to receive some traffic. Because the internet basically runs on links and Search Engine rankings depend a lot on Do-follow. How To Make Money Online ...:::: Earn Methods ::::... Do-Follow links are very important for your website traffic. Your website are linking to another site because you want visitors to see that page some value in some way then you should use a Do-follow link. Search engines also show that the page you are linking to does have some value for people interested in the topic of your website. And this will help search engines rank, the better quality websites. One way to spot (no-follow) links. 1: Right click on a site and click (View source). 2: Then go to >>> Edit <<< and then >>>Find<<< From there you’ll want to type (no-follow) into the search box. 3: Using this technique, you can scroll through and see if the link you’re concerned about is "no-follow" or (do-follow). Download Games, Softwares, WordPress Themes and much more. I was always interested to know the difference between Nofollow and Dofollow links. Thank you for this information! The very important thing about (SEO) is linking to another site or your website is being linked up. Links is very important because it can determine how search engines treat those links whether a site uses (No-follow) tagging within its links. I will use these tips for promotion of reviews on Top essay writing .